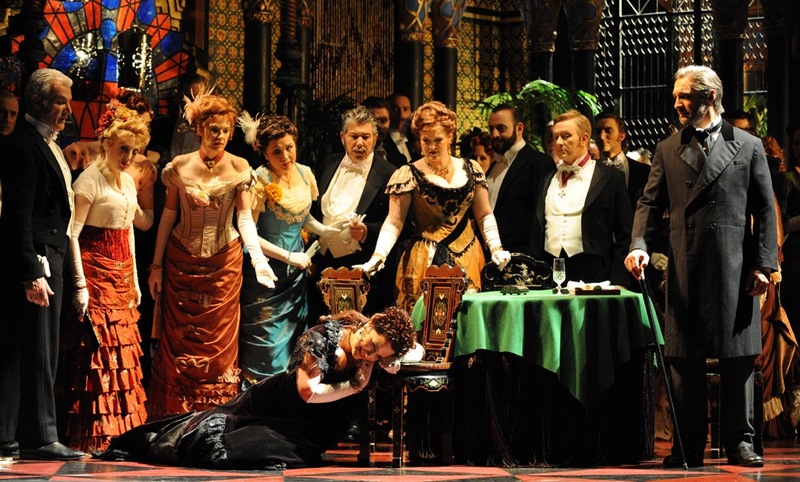 The inaugural Handa Opera on Sydney Harbour had the distinction of showcasing star soprano Emma Matthews’ debut in La Traviata. Wonderful though the thrill of enjoying Matthews’ soaring and heartbreaking performance as doomed courtesan Violetta was at the time, the prospect of hearing her sing the role unamplified in the far more intimate confines of the Joan Sutherland Theatre is surely far too tantalising to resist. And what a performance Matthews gives. In a combination only seen in the rarest of the world superstar sopranos, Matthews has acting talents that match the beauty and power of her glorious voice. 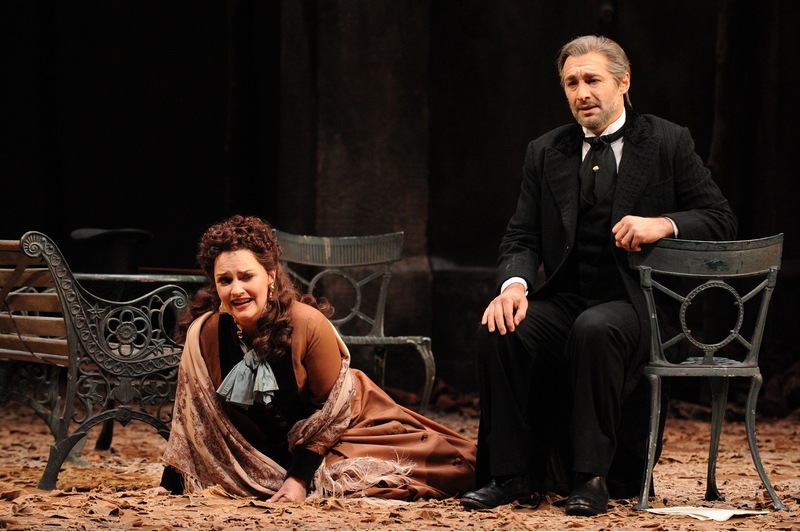 Recalling to mind her legendary work in the The Tales of Hoffmann, Matthews again does the work of four sopranos, portraying the full spectrum of Violetta’s character, from passionate and impulsive to tender and loving, from vulnerable and desperate to pitiful and tragic. Her voice changing effortlessly from full flight to pianissimo, from soaring high notes to supple trills, Matthews is in her element, breathing new life into the well-known music with her carefully considered interpretation. Matthews has the audience in her pocket throughout, with the extended solo arias having the vibe of a thrilling recital concert. Emerging Polish tenor Arnold Rutkowski has a strong, clear tone, and makes light work of the role of Violetta’s ardent lover, Alfredo. Not a match for the acting skill and presence of Matthews, Rutkowski nonetheless sings the role with plenty of power, matching his co-stars well in duets. 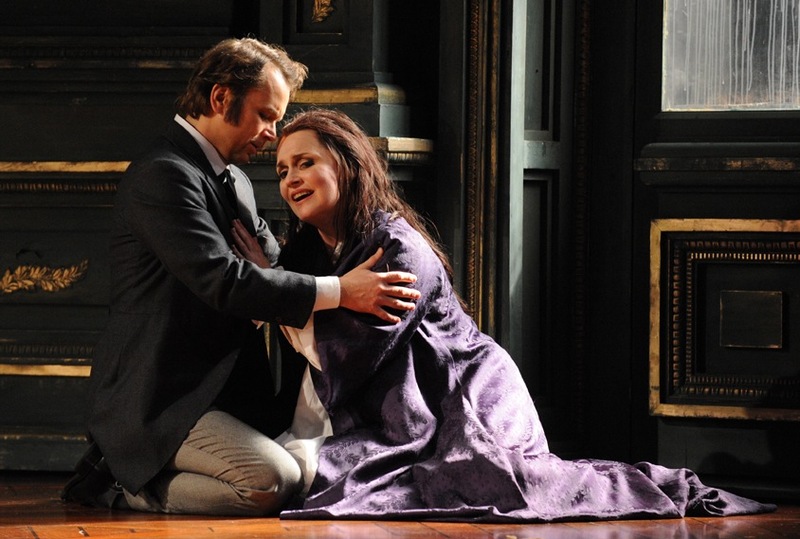 Far more effective is baritone José Carbó, who gives a breakout performance as Giorgio Germont. In a move away from the twinkling comic roles he is better known for, Carbo uses the commanding power of rich, lusty voice to wonderful effect as the manipulative overbearing patriarch. Carbo and Matthews’ duets and scenes in act two are at the heart of the success of this production. Elijah Moshinsky’s twenty-year-old production shows no signs of outstaying its welcome. The richly detailed ornamentation of Michael Yeargan’s realistic sets provides plenty of interest. Peter J Hall’s costumes are a treasure trove of delectable colours and textures. Revival director Roger Press has done an impressive job of bringing to life the range of minor supporting characters, effectively suggesting plenty of life beyond the very small number of lines that each has to sing. Dominica Matthews lights up the stage as the attractively curvaceous, vivacious hostess Flora. Stephen Smith shows arresting flair as the dashing Gastone. Further sterling support comes from Richard Anderson as the compassionate Doctor Grenville, Michael Honeyman as Flora’s indulgent protector Marquis d’Obigny, Shane Lowrencev as Violetta’s noble protector Baron Douphol and Natalie Aroyan as Violetta’s dear maid Annina. Press’ work extends to the Opera Australia Chorus, who give yet another excellent, focused performance full of terrific character work. Chorus master Anthony Hunt looks set to continue to the outstanding chorus preparation of Michael Black. Youthful conductor Patrick Lange leads the Australian Opera and Ballet Orchestra in a meticulously precise, entertainingly emphatic performance of Verdi’s treasured score. Were Matthews prone to world travel, we would be watching her in cinema broadcasts rather than on our live opera stage. Take the opportunity to see her sensational performance in this Sydney season. 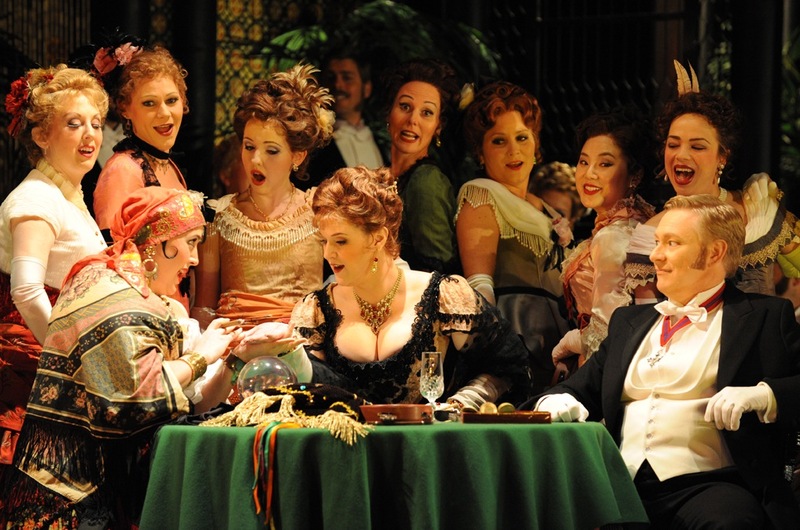 La Traviata plays at Joan Sutherland Theatre, Sydney Opera House until 31 August 2013. This review is based on the performance at 1pm on Saturday 3 August 2013. Wonderful and accurate review of the entire cast. Emma Matthews is unequaled! Great talent! Thanks so much for your positive feedback Mary Lou, much appreciated. I flew up from Melbourne specially to see Emma as Violetta. As soon as her casting was announced last year I couldn’t wait for this performance and I certainly was not disappointed! Glad to hear that you enjoyed it as much as I did. Looking forward to the 2014 season announcement in few weeks so we can find out what Emma is cast in next year! Whatever role Emma is cast in, it will be terrific – she’s the best!